Also, anyone paint their vans and how much did you pay for an entire paint job? Here's a pic of my 1990 Accord VS 2008 Odyssey. 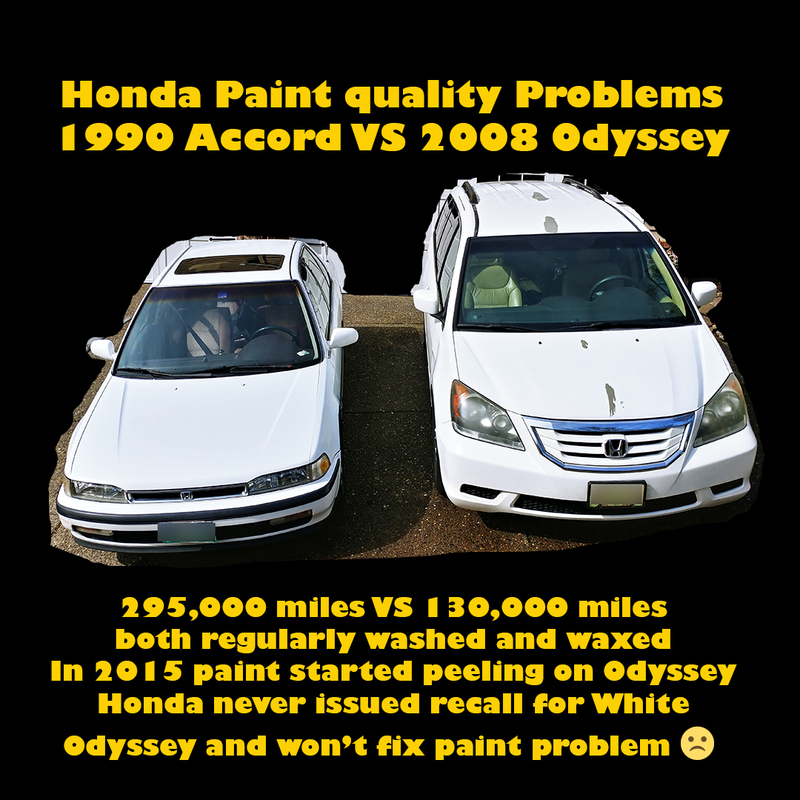 You can see how the paint on my Accord is great while while my Odyssey is peeling on the hood and roof. uggg. It's been a long day!